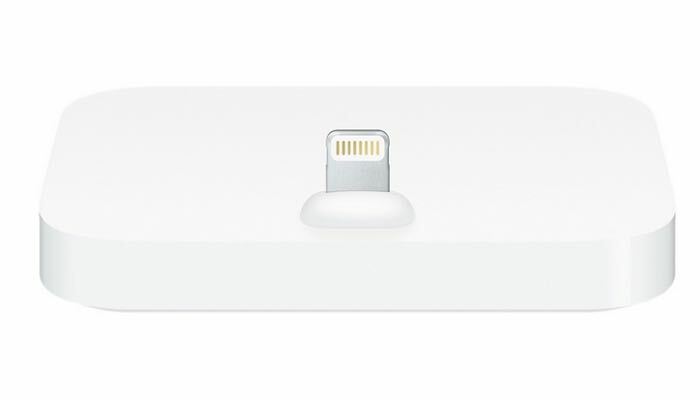 Apple launched their new lightning connector almost three years ago with the iPhone 5 and now the company has finally launched a new iPhone lightning dock. The new iPhone Lightning dock is compatible with the iPhone 5, iPhone 5S, iPhone 5C, iPhone 6 and iPhone 6 Plus. The new iPhone Lightning dock has a new design over the older iPhone docks, it no longer cradles your handset, which makes it compatible with the new iPhone 6 and 6 Plus. The dock is now available from Apple’s online store in the US for $39 and it is showing shipping times of 1 to 3 days, you can find out more details over at Apple at the link below.